After several months of happy printing, today my Moai’s platform stopped tilting mid-print and got stuck in the downward ‘tilt’ position. 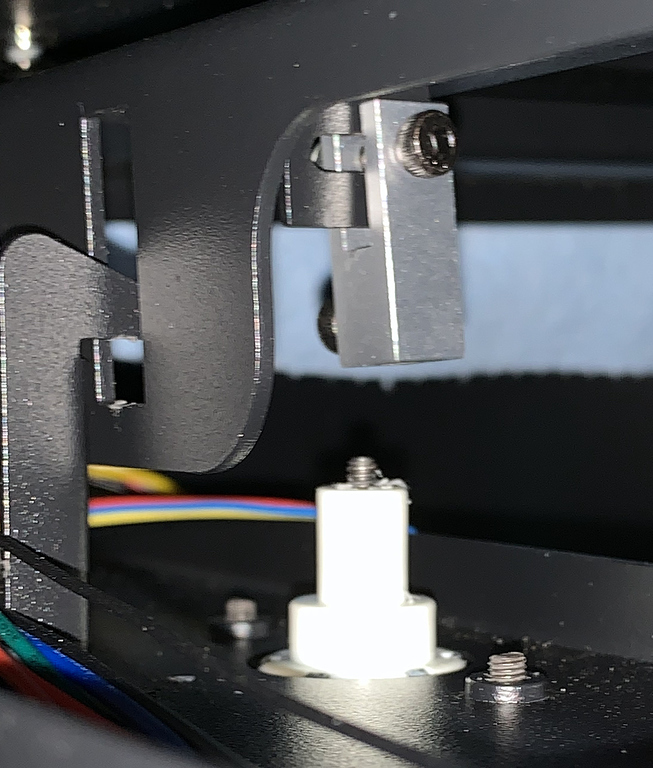 I removed the side panel and found that threaded rod in the PM motor had managed to completely disconnect itself from the ‘silver tab’ attached to the platform. I tried rethreading it but the it won’t move past the point show in the picture below. Turning the rod just causes the motor to spin internally. The install guide photos and instructions refer to an ‘unthreaded cylinder’ which isn’t even visible on my PM motor’s thread anymore. It doesn’t seem to have sheared off. There are no broken bits inside the compartment and nothing stuck inside the ‘silver tab’. It’s as if the threaded rod is bound up internally. Has anyone seen this before? Should I just order a new PM motor?